Eurodollar is still being corrected. 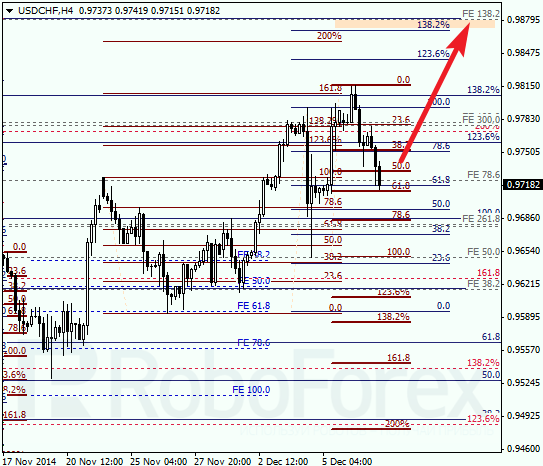 Right now, the price is testing retracements 61.8% as well as several local retracements. If the market rebounds from the current level, the pair may resume moving downwards. 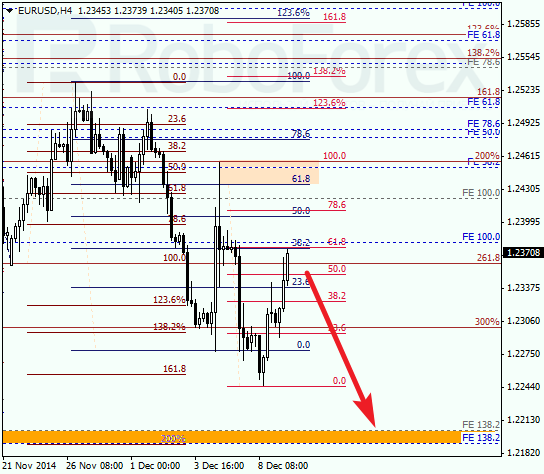 At the H1 chart, the predicted target area is confirmed by several local retracements, which make this area even more important. If the price rebounds from them, the pair may start a new descending movement towards the group of lower fibo-levels. 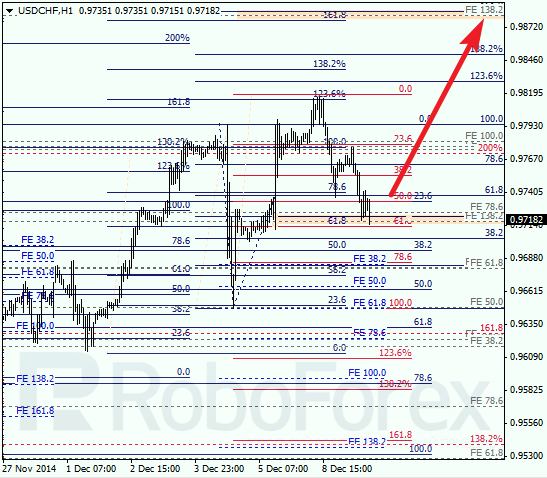 In case of Franc, the pair has reached retracement 61.8% and may rebound from it. If it happens, I’m planning to start buying again. The main target is still the group of upper fibo‑levels. As we can see at the H1 chart, retracement 61.8% is confirmed by several local retracement, from which the pair may rebound during the next 24 hours. 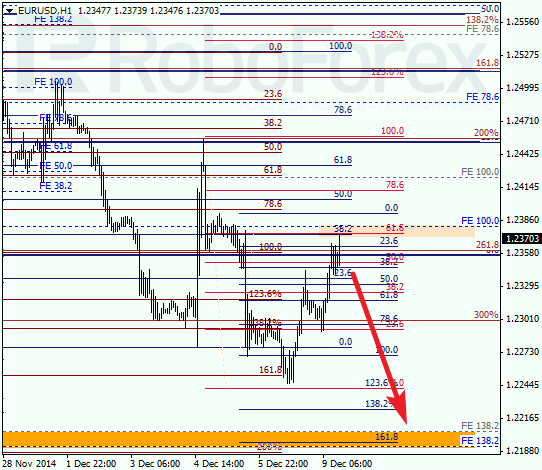 If later the price is able to stay above retracement 23.6%, bulls will return to the market.